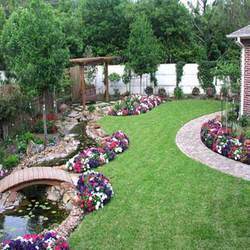 Our excellent quality landscaping services is offered to well known residential estates as well as corporate offices for beautification of exteriors. First, the landscape designing is innovatively planned by our designer and than the plan is implemented with the help of our trained workforce. Our service gives an aesthetic and relaxing appeal and enhances the beauty of exteriors. 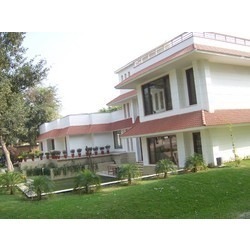 As per the growing necessities of our patrons, we are indulged in rendering Landscaping Development Service. Rama Lime & Stone Co.
We are engaged in landscape gardens. Once a gardener, always a gardener, refers to the many pleasures and compensation of the gardening. A garden is all things to all men to the large majority, it is a quiet corner to relax in or entertain. Others avidly raise vegetables and fruits. Yet others fortunately only a few, complain of the backache they get. A small courtyard hotel was designed on a plot off the main shopping street in Isfahan, Iran. A coffee shop and restaurant with bar were provided on the ground floor and opened out on to the central courtyard. Three floors of guest rooms designed in an introverted plan opened out on the courtyard.